Suunto 9 multisport GPS watch. ONE of the problems faced by people who love outdoor activities like hiking, rock climbing, biking, canoeing, and swimming is the durability and battery power of their smartwatches. As more adventure enthusiasts and professionals are starting to use smartwatches to track their fitness levels is and also their whereabouts during their training and explorations, they require a device that is rugged enough to be able to withstand the elements of nature, and which also comes with a long battery life. 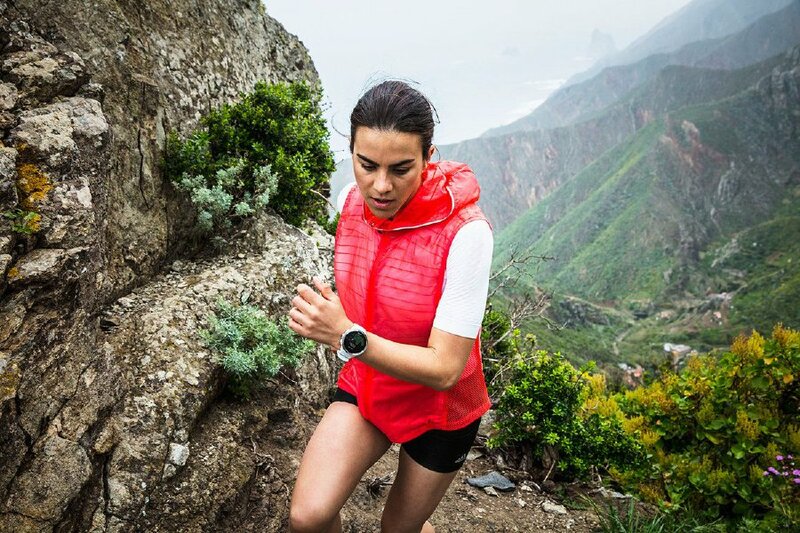 In meeting this demand, Finnish sports watchmaker Suunto Oy has come out with Suunto 9,a multi-sport GPS watch designed for athletes and others who demand the best from their sports watches. Strapping the Suunto 9 on your wrist will immediately tell you that this smartwatch is a wearable beast and has certain purposes that it’s been built for. The watch is made from premium materials and it has a stainless steel bezel and buttons, sapphire crystal glass, and a soft and durable silicone strap for comfortable wear. The metal bezel will ensure that it can withstand any accidental knock on a hard surface. However, because of its thickness and fairly large size, this watch may not appeal to those ladies with smaller wrists as it may look too big on their hands. 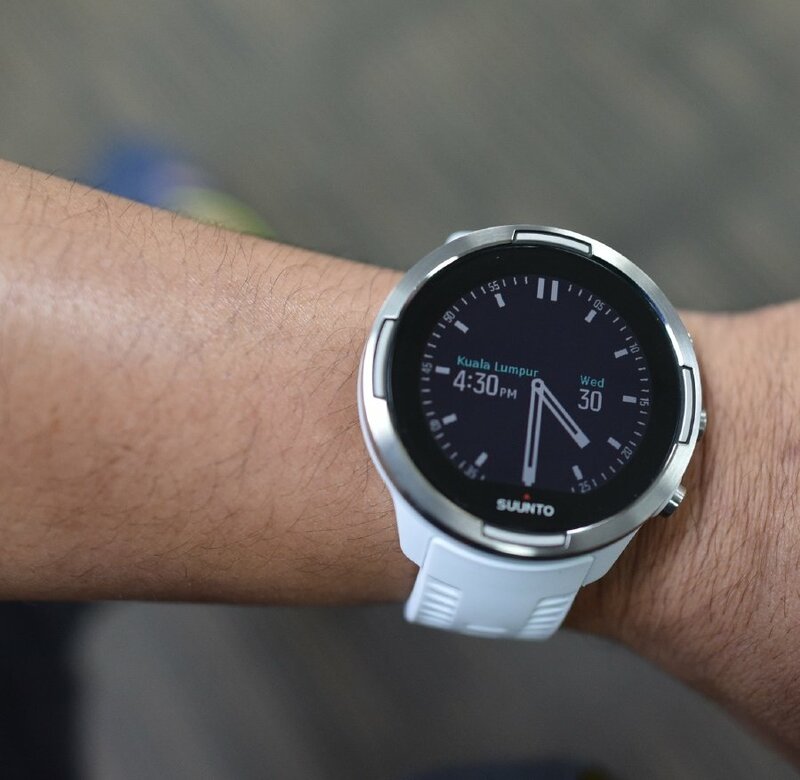 However, the Suunto 9 would fit perfectly on people with a good build. The unit that was loaned to us is in white and stands out, and can be seen also as a fashion item. That aside, let’s look at the watch’s real capability as a rugged device. The watch is packed with over 80 sport modes, such as trail running, cycling, mountain biking, open water swimming, cross-country skiing, hiking and many more. The Suunto 9 is designed to withstand the most rugged and hard elements of nature. It can survive temperatures ranging from -20°Celsius to 55°Celsius, which means you can take it to explore the Artic or Antarctic and not worry that it will freeze and stop working, or use it in an extremely hot environment and not have its parts melt. For those who are into diving and swimming, this watch has a water resistance rating of up to 100 metres deep, which is about 60 metres more than the safe limit for a human dive. But more importantly, what this watch has to offer is the battery life. The Suunto 9 can last up to 120 hours of usage or five days with GPS per charge. This means I can take it for an outdoor adventure like hiking or camping in the forest without having to worry that it will run out of power by the end of the day. This is one feature that will be appreciated by its users. The watch also comes with a heart rate optical sensor by Valencell. Back to the battery capability, this watch has an intelligent battery life management system with smart reminders to ensure it will last just as long as you need it to. For example, before you start recording an exercise, you can see an estimate of how much battery life you have left in the current battery mode. The watch has three predefined battery modes; Performance (default), Endurance and Ultra. Changing between these modes will change the lifetime of the battery but also change the performance of the watch. In addition to the battery modes, the Suunto 9 uses smart reminders to help you ensure you have enough battery life for your next adventure. Some reminders are preemptive based on, for example, your activity history. You also get notified, for example, when the watch notices you are running low on battery while recording an activity. It will automatically suggest changing to a different battery mode. The three battery modes deliver usage from 25 hours up to 120 hours of recording time with GPS tracking on. If it’s not enough, you can always switch to another mode at any time. Sports smartwatch maker like Suunto tries to differentiate itself from its competitors by giving features that matter to them and not available on many other smartwatches. Besides the long battery life, the GPS tracking accuracy is also indispensable to outdoor athletes and explorers. In this regard, the watch offers the FusedTrack algorithm, which combines GPS and motion sensor data to improve track and distance accuracy. This allows you to extend battery life by lowering GPS power without significantly compromising accuracy. FusedTrack uses motion sensors to log your movement between the different GPS readings, which will provide better tracking of your exercise. This feature is activated automatically during running and trail running when Ultra or Endurance battery mode is chosen and it improves the tracking and distance accuracy between the GPS readings. The endurance mode uses a GPS reading interval of one minute and for Ultra mode, a GPS reading interval of two minutes. The watch is simple enough to use. Just swipe down or press the upper button to open the launcher. Then tap the exercise icon or press the middle button. You can choose your sport mode by swiping up or down the screen and tap on the one you want to use. Also while recording, you can switch between displays with the middle button or by using the touchscreen if it is enabled. If the sports mode you selected has options, such as setting a duration target, you can adjust them before starting the recording by swiping up or pressing the lower button. When you have general targets activated, a target gauge is visible on every data display showing your progress. You will also receive a notification when you have reached 50 percent of your target and when your selected target is fulfilled. To me, all this is important information for the user, if he or she really wants to monitor the progress of the exercise and level of achievement. The Suunto 9 works hand in hand with the Suunto app to track all your adventures, as well as follow your long-term trends, including daily activity and sleep. The app, simply called Suunto, is available for free at App Store and Google Play, allows users to connect the watch with their smartphones. Pairing the watch with your phone is pretty easy and fast and once paired, you can see incoming call alerts, messages and notifications to your watch. This is on top of all the activities that you can do with the watch. Besides that, you can also easily share your fitness achievements and connect with others in the app community.